AirFox’s vision is to make the mobile internet more affordable and accessible and the biggest limitation for our customers is access to capital. AirFox is positioned to create mobile capital for advertisers, users, and carriers using the blockchain. AirFox uses advertising and micro-loans on the blockchain to unlock unrealized mobile capital through a new cryptocurrency - The AirToken (“AIR”). AIR technology harnesses the decentralized power of the Ethereum blockchain using a digital ledger of the user’s mobile phone data as well as advertising and proprietary “credit-score” algorithms to reward​ ​and finance​ ​users with AIR. AIR are redeemable for mobile data, and, eventually, physical and digital goods. AIR monetizes the user’s smartphone by rewarding and financing the user for attention and good behavior while expanding the pie for the entire ecosystem that wants to further maximize on this audience (carriers, publishers, and advertisers). 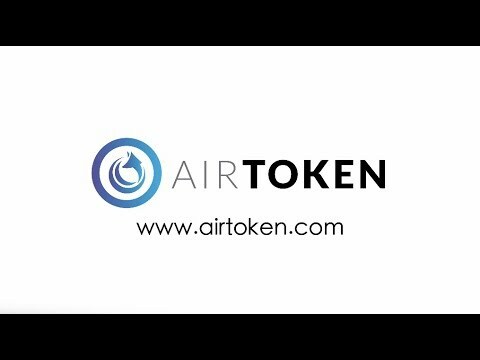 The AirToken is a new Ethereum ERC20 token that unlocks free mobile internet through advertising and micro-loan rewards. Users can earn AirTokens by opting into advertisements and claiming micro-loans, redeemable for mobile data recharges across 500 wireless carriers. AirFox will programmatically buy airtime and data in bulk from carriers. Carriers want to maximize spectrum and data usage from subscribers in order to maximize revenue. Publishers will have higher monetization, new user reach, and a better user experience. Publishers can implement our AirToken reward, micro-loan, and advertising system to enable higher user output. Investment banking and Compliance professional. Cryptocurrency enthusiast. The first phase will enable users to earn free AirTokens via advertising for mobile recharges across 500 wireless carriers. Users can earn AirTokens via the Android AirFox Browser and the Recharge App. The second phase is enabling qualified users to redeem micro-loans of AirTokens by collaterizing their prepaid account balance and using our AirFox internal user scoring algorithm. We will also expand the use of AirTokens for items outside of mobile recharges. Users will be able to redeem micro-loans of AirTokens for physical and digital products across our ecosystem. The third phase is extending the use of AirTokens and our advertising / microloan blockchain system outside of our own applications and across a direct network of publishers and advertisers. Publishers and advertisers can reward their users with AirTokens via advertising "moments" and use our micro-loans system to provide capital for in-app purchases. This will be provided via an API and SDK that publishers can integrate into their applications and websites.